Born 26 November 1900 in Camberwell, London [registered in Camberwell, March 1901]. According to the 1901 census, four month old Edgar is the youngest of three children, all sons, to James Walker Isaac and Rosa Mary (née Yells). They live at 11 Thompson Road in Camberwell. His father is a Post Office sorter. According to the 1911 census, Edgar is now the third of seven, six of them all sons. His father remains with the Post Office and they live at 80a Landcroft Road in Dulwich. According to the 1939 register, Edgar is a wines and spirit's salesman and is married. However, Edgar is staying at the White Hart Inn on Market Place in Chippenham. Married: to Irene Margaret Ramsey, on 17 February 1926 at St, John's Church, Goose Green, in East Dulwich [registered in Camberwell, March 1926]. Daughter of the groundsman, Dalhousie Ramsey. Their wedding is pictured left. Douglas Lammings' An English Football Internationalist Who's Who , FindMyPast.com, The Hamlet Historian & Andy Mitchell's research. Club(s) Represented schools around South London before signing with Dulwich Hamlet in 1915. 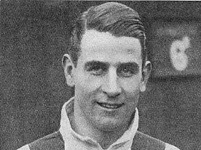 Kail played one match for Queen's Park FC of Glasgow in a charity match against Rangers FC in May 1932. He also signed amateur forms with Chelsea FC on 6 March 1930, but made no league appearances. Kail became the Dulwich captain from 1932. Retired from playing in 1934. Distinctions When Kail was invited to play for the famours Queen's Park club, he was the first Englishman to receive the honour. Player number One of four who became the 540th players (542) to appear for England. First match No. 165, 9 May 1929, France 1 England 4, an end-of-season tour match at Stade Olympique Yves-du-Manoir, Colombes, Paris, aged 28 years 164 days. Last match No. 167, 15 May 1929, Spain 4 England 3, an end-of-season tour match at Estadio Metropolitano, Madrid, aged 28 years 170 days. 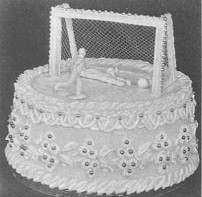 After retiring from football, remained on the Dulwich Hamlet committee until 1956. Employed as a wine merchant until his retirement in 1966. He retired to Glasgow, where he would die in 1976. - An English Football Internationalists' Who's Who. Douglas Lamming (1990). Hatton Press, p.147.